ﬂ ammable vapors, such as those emitted by gasoline. ALL TECHNICAL AND WARRANTY QUESTIONS: SHOULD BE DIRECTED TO THE LOCAL DEALER FROM WHOM THE WATER HEATER WAS PURCHASED. IF YOU ARE UNSUCCESSFUL, CONTACT RESIDENTIAL TECHNICAL ASSISTANCE AT 1-800-999-9515 OR WWW.AMERICANWATERHEATER.COM. ORIGINAL RECEIPT AS PROOF OF PURCHASE. approved by UL or CSA. For more information, contact the your gas supplier. FOR SPACE HEATING AND POTABLE WATER HEATING ONLY. NOT FOR USE IN MOBILE HOMES. American Water Heater is a famous company selling different equipment like communications. Our team collected 53 free handbooks created by this brand . 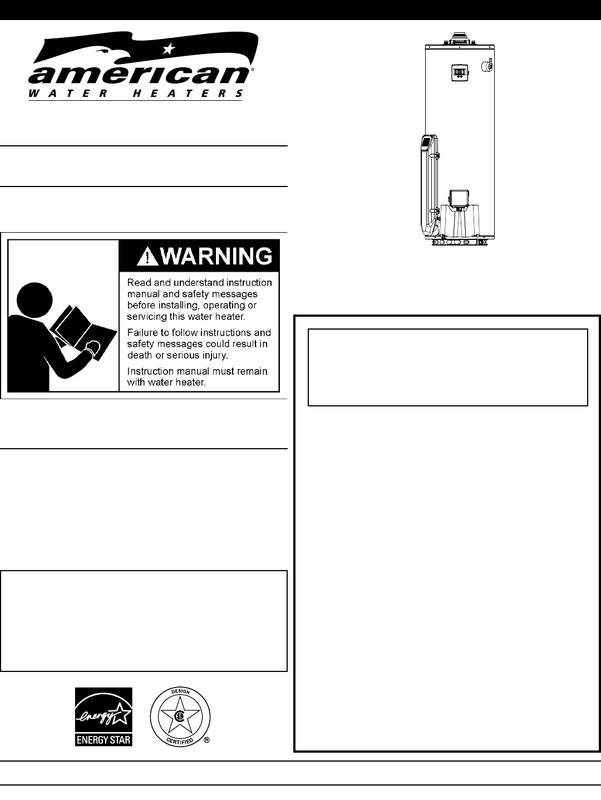 Now you're reading a user guide for American Water Heater Amplified Phone 317994-002.